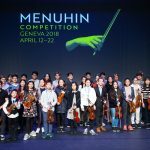 The Menuhin Competition Richmond 2020 has been announced! It was announced at this evening’s Closing Gala Concert of the Menuhin Competition Geneva 2018 that the next Menuhin Competition will take place in Richmond, Virginia (USA) in 2020. This will be the first time Richmond has hosted the Competition and is the second time the Competition has been to America in its 35 year history. The Competition will take place in Richmond from 14-24 May 2020 in venues throughout the city including the Modlin Center for Arts at the University of Richmond, the W.E Singleton Center for the Performing Arts at Virginia Commonwealth University and in the Carpenter Theatre at the Dominion Energy Center for the Performing Arts. Richmond Symphony will be the primary accompanying orchestra for the festival, in addition to the Sphinx Virtuosi ensemble – made up exclusively of 18 of the nation’s top Black and Latinx classical musicians – who will accompany the Junior Finals and take part in performances and workshops with local public schools. 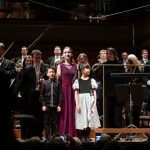 Do watch this video following the announcement that the Menuhin Competition 2020 would be in Richmond, Virginia, which was broadcast during the interval of the Closing Gala Concert of the Menuhin Competition Geneva 2018 on 22 April 2018.